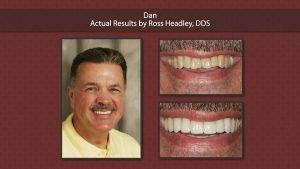 At the Overland Park practice of Ross S. Headley, D.D.S., we are determined to stay abreast of the latest advances in dental technology. Our patients enjoy such pain-reducing innovations as drill-less and sedation dentistry and the dental anesthetic Wand™. We are also proud to feature such cutting-edge diagnostic tools as all digital X-rays and intraoral cameras which make computer imaging of our patients’ teeth possible. 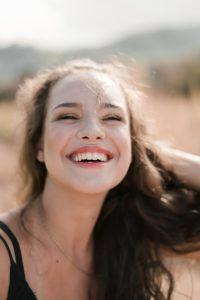 Read on to learn about the exciting advances in dental technology we feature at our office and feel free to contact us for an office tour with our cosmetic dentists. Digital X-rays are a crucial advance in dental technology because the offer a much clearer and more detailed picture of the inner workings of our patients’ mouths than traditional X-rays do. 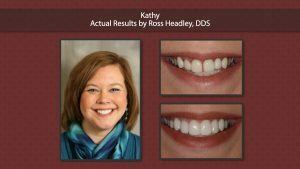 With digital X-rays, the image is transferred directly to a computer screen, where Dr. Headley is able to fine-tune the picture, zooming in and out until our dentist has the best possible view of the problem areas. Not only do digital X-rays cut down on patient wait time because they do not have to be developed, they expose the patient to up to 90 percent less radiation. Furthermore, because the images are projected onto a screen in the exam room, patients are able to view the X-rays with the dentists, and thus can actively participate with their dentists in their treatment plans during general dentistry visits. Dental anxiety is a very common affliction, causing people avoid important dental maintenance and repairs because they fear the pain traditionally associated with time in a dentist’s chair. Even traditional numbing methods, such s lidocaine injections, can be uncomfortable and cause patients to despise visiting the dentist. 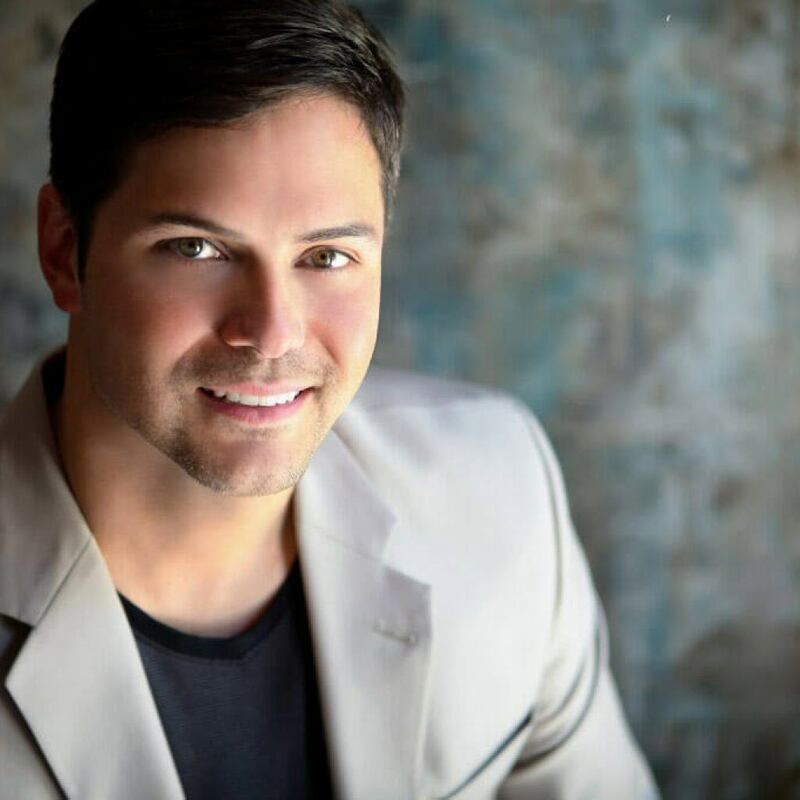 At the practice of Dr. Ross S. Headley, we are proud to offer oral conscious sedation dentistry for the comfort of our patients. With sedation dentistry, our patients swallow a pill that helps them to relax and allows them not to feel pain. The patients remain conscious, however, and are fully aware of their surroundings and able to communicate with their dental team throughout their procedure. Our highly-trained team monitors patients under sedation throughout their entire procedure to ensure their safety and comfort. Our patients find that sedation dentistry allows them to undergo multiple dental procedures in one visit with little or no discomfort. Thus, patients save money and time by consolidating their visits to us. Many patients even comment that after a session with sedation dentistry, they even feel more relaxed than they did when they came in! 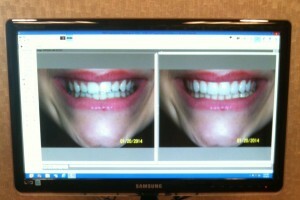 The intraoral camera is an exciting new diagnostic tool. Using this tiny camera, our dental team is able to take digital pictures of the inner structure of our patients’ mouths. 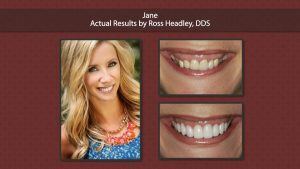 These images are then instantly projected onto a screen right in the exam room, allowing both our dentists and our patients to see the teeth and gums in striking detail. The intraoral camera has become invaluable to us as a diagnostic tool, allowing us to see problem areas in the mouth much earlier and in greater detail than was previously possible. Furthermore, our patients find that viewing the areas of their mouths that are being worked on gives them a greater understanding of procedures, and thus reduces their anxiety. 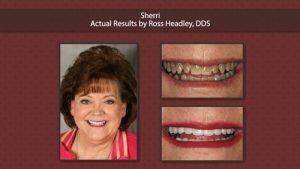 To learn more about the intraoral camera and other exciting technological advances we employ, contact the cosmetic dentistry practice of Ross S. Headley, D.D.S. for an informational consultation. Do you postpone treating cavities because you hate the noise and discomfort of dental drilling? At the practice of Dr. Ross S. Headley, this is no longer an issue. We are proud to feature the KCP® 1000 Whisper Jet system for drilless air abrasion dentistry. 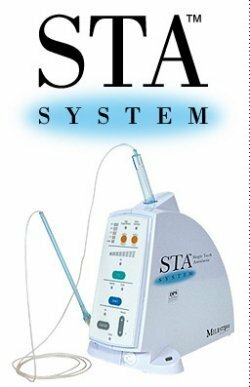 This system uses a fine stream of a special powder to remove decay and make cavity preparations. The KCP® 1000 Whisper Jet system often entirely eliminates the need to use an old-fashioned drill for many procedures. This means far less discomfort for the patient. In fact, many procedures using the KCP® 1000 Whisper Jet require no anesthetic at all, which means that patients can have teeth prepared for fillings without needles, without the wait for anesthetic to take effect, and without any uncomfortable numbness after the procedure. The KCP® 1000 Whisper Jet further reduces dental anxiety for our patients because it reduces the noise associated with cavity preparation—no more high-pitched drilling! Now, our patients hear only the quiet spray of the KCP® 1000 Whisper Jet. An additional benefit of the system is that it is so precise. Using the KCP® 1000 Whisper Jet, our dentists are able to remove only the decayed portion of a tooth, preserving much more of the healthy tooth structure. With the new KCP® 1000 Whisper Jet system, we are proud to offer our patients more comfortable and efficient, drill-less dentistry. While almost all dentists use lidocaine to numb the mouth of their patients, we have found that many of our patients fear the needle just as much as they fear the pain of a dental procedure. This is why we are proud to feature the Wand™, a computer-controlled anesthetic delivery system. The Wand™ consists of a tiny needle at the head of a pen-shaped device that is connected to a computer. The most unique aspect of the Wand™ system is that a tiny amount of numbing agent is administered before the needle even makes contact with the patient, so most patients never even feel the odious prick. The anesthesia continues to numb the area as the needle is inserted, making the numbing process virtually painless for the patient. The Wand™ eliminates the over-numbing that was formerly so bothersome to our patients. The computer allows the needle to sense the density of the tissue to be numbed, and so only the correct amount of anesthesia is applied. This eliminates the hours of numbness after a procedure that many patients dread, yet they remain comfortably numb for the duration of their time in the chair.